A batch of new Joaquin Phoenix Joker set images have landed online offering that the Clown Prince of Crime gets hit by a Gotham City taxi as he gets chased by the police. Check out the pics in the video which shows Joker fleeing from the GCPD with a big smile on his face, and then he runs into a taxi. 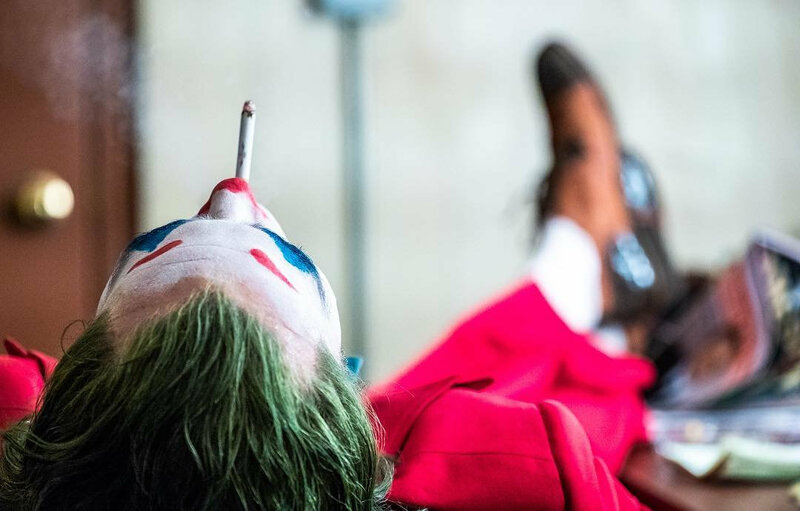 The Joker origin movie centers around the iconic arch-nemesis of Batman and is an original, standalone story not seen before on the big screen. Phillips’ exploration of a man disregarded by society is not only a gritty character study but also a broader cautionary tale. The film follows the transformation of a struggling stand-up comedian to a full-blown criminal force of nature. The movie also stars Robert DeNiro as a talk show host, Deadpool 2's Zazie Beetz playing a single mom who catches the interest of the man who will become the clown prince of crime; Marc Maron is the agent responsible for getting the Joker on DeNiro's talk show, with the film also starring Frances Conroy, Josh Pais and Bret Cullen as Thomas Wayne. Joker has an October 4, 2019 release date.